Are You Smarter than a 5th Grader? Homework Helpers & Tutors needed! Homework Helpers & Tutors needed! Boys & Girls Clubs of San Francisco Clubhouses provide fun and safe spaces for kids to learn and grow with the support of caring adults. 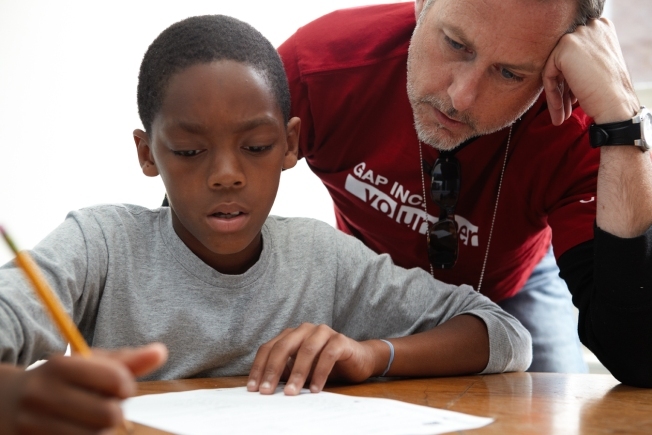 Won't you consider joining us as a Homework Helper or Evening Tutor? A mere one hour a week can make an impact for a lifetime. Name of Event: Are You Smarter than a 5th Grader? Homework Helpers & Tutors needed! Time: Volunteer needs and hours may vary by location within the timeframe of Monday through Thursday between the hours of 3pm - 7:30pm. Location: Our Clubhouses with the greatest needs are located in the outskirts of San Francisco (Willie Mays Boys and Girls Club-Bayview/Hunters Point; Sunnydale; Visitacion Valley; Treasure Island). Visit www.kidsclub.org for more info. Age Restrictions: Ages 18+ Type of Work: Homework Helpers & Evening Tutors are needed for at least one hour a week to help Club kids with their homework, which may include a variety of subjects, special projects, and/or engaging them in learning activities. Grade levels of Club kids vary but focus mostly on elementary school levels.